In the chilling tradition of Daphne du Maurier and with the acuity of Kate Atkinson comes a haunting, psychological thriller about one woman’s search for the truth about her past through a closed community full of dark secrets. Alison is as close to anonymous as you can get: she has no ties and no home, and her only anchors are her boyfriend and her small backroom job in publishing. Which is exactly how she wants it. Because once, Alison was a teenager named Esme who lived in a remote, dilapidated house by a bleary estuary with her parents and three siblings. 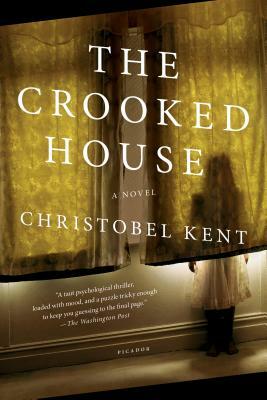 One night something terrible happened in the family’s crooked house, leaving Alison the only survivor. In trying to escape its horror, she moves away from the village, changes her name, and cuts herself off from her past. An invitation to a wedding in her hometown, however, brings her back for the first time since she fled. And soon Alison realizes that the events of that night left their awful mark not just on her but on the entire village, and she begins to suspect that all the residents might somehow be implicated in her family’s murder. Christobel Kent was born in London and grew up in London and Essex, including a stint on the Essex coast on a Thames barge with three siblings and four step-siblings, before reading English at Cambridge. She has worked in publishing and TEFL teaching, and has lived in Modena, in northern Italy, and in Florence. She has written several novels set in Italy, including The Drowning River and A Murder in Tuscany, and lives in Cambridge with her husband and five children.